If you have decided that you want to replace your kitchen floors before the gatherings and celebrations of the holidays, it can be an exciting time. There are many beautiful flooring options that can work to transform the whole look and feel of your kitchen and your home, creating a stunning place to gather with your loved ones. Replacing flooring need not be overly costly, either; many high quality flooring options can be purchased from a flooring store without breaking the bank. 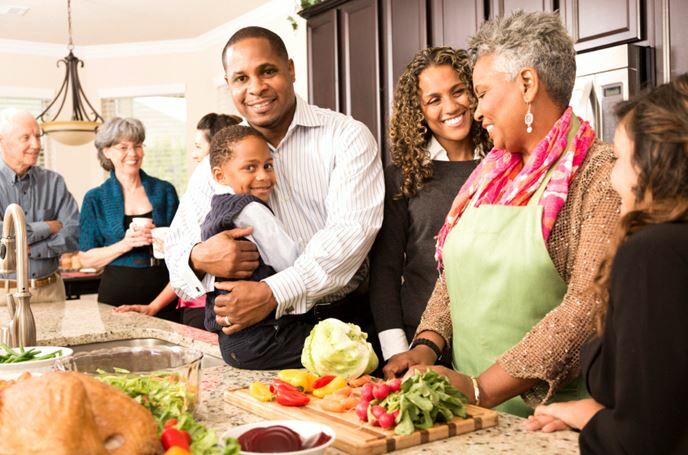 Through the holidays, many family members will most likely be standing on their feet for hours in the kitchen. Preparing food, wrapping presents, and setting up holiday decorations in the kitchen can be tough on the feet and legs if the flooring is hard and uncomfortable. To increase comfort, you may wish to consider luxury vinyl flooring instead of traditional tile. Laminate flooring and wood flooring can also be more comfortable to stand on, if you prefer to keep a wood-floor look throughout the home. How Easy to Clean is the Flooring? Messes are bound to happen in the kitchen through the holidays. Having flooring that is easy to clean can help to reduce stress and keep the house looking good. Flooring that is smooth, such as laminate or vinyl may be easier to clean than flooring with grooves, such as tile. With the right cleaning supplies and the right tile in place, though, clean up may still be pretty simple. Will the Flooring Last Through Heavy Use? Most types of vinyl flooring and laminate flooring have shorter shelf lives than tile or wood flooring. Laminate flooring may also react adversely to continuous changes in moisture and temperature, which is common in a kitchen. If you anticipate heavy traffic through your kitchen through the holidays and beyond, you may wish to consider going with tile or wood flooring. Does the Price Point Fit Your Budget? The price point on different types of flooring can vary greatly. Vinyl flooring and laminate are typically less expensive, while hardwood and tile floors are usually more expensive. The exact prices of each different type of flooring may range based on the quality of the product, the designs, and patterns. It is important to do plenty of research before making a selection to ensure that your pick your perfect flooring. 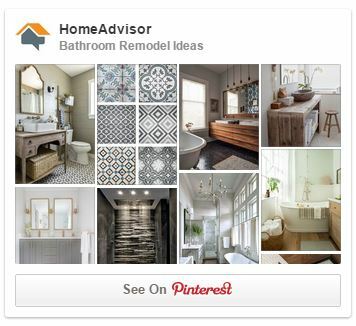 Should You DIY or Pay for Installation? 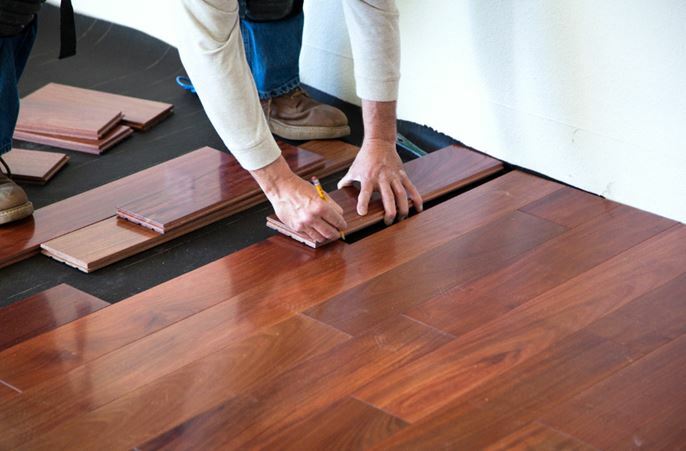 Installing your own flooring can save money if you know what you are doing and have the proper supplies and equipment. If you don’t have the knowledge or necessary equipment, you may waste product or spend excessive amounts of money on supplies, which may make installation a better deal. It is also important to consider that the flooring may be installed quicker if you hire a professional. If doing it yourself may interfere with your holiday joy, you may wish to hire a flooring expert. Author Bio: Amanda Fuller is a recent college graduate and avid writer. While her primary focus in college was English Literature, Fuller minored in Design and Psychology. She draws on her knowledge of these fields to create online content that addresses different human needs in a simple way. Most recently, Fuller has been working with FlooringHQ to create new and engaging content strategies.